in celebration of completing my uni exam yesterday, i rewarded myself with brunch before heading straight back into the office… oh the joys of studying and working full time! i’d seen a bit around online about gypsey + musquito, including a great review on broadsheet, which i won’t even attempt to emanate… i simply suggest reading it (after you’ve read mine of course!). 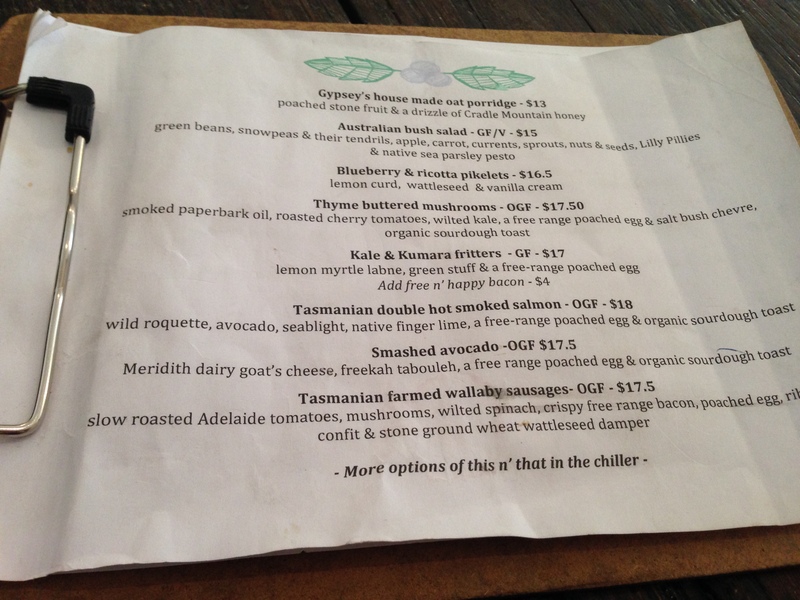 the cafe is named after two aussie bushrangers and the menu is inspired wholly by australian flavours + produce (lemon myrtle, paperbark, wattleseed just to name a few). 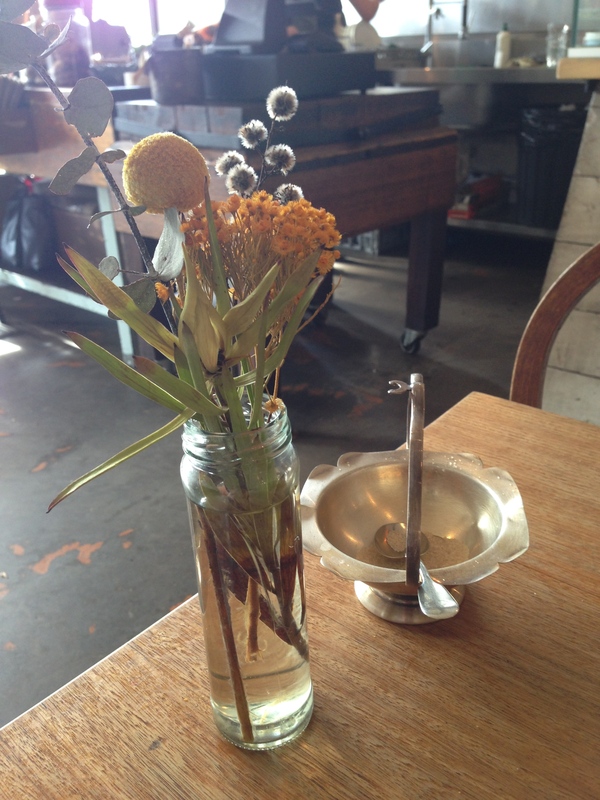 table decorations are australian natives flowers + plants, and the decor has a rustic outback theme of recycled timbers. 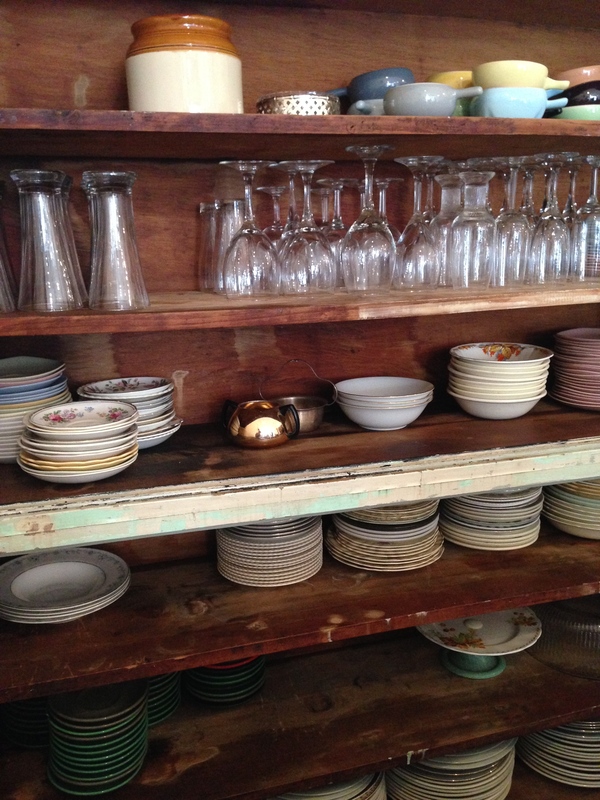 meals are served in glass jars and my nana’s favourite crockery, and i love the old-school scales and tiered cake-holders on display. it certainly instills some patriotic pride! this was the iced tea. 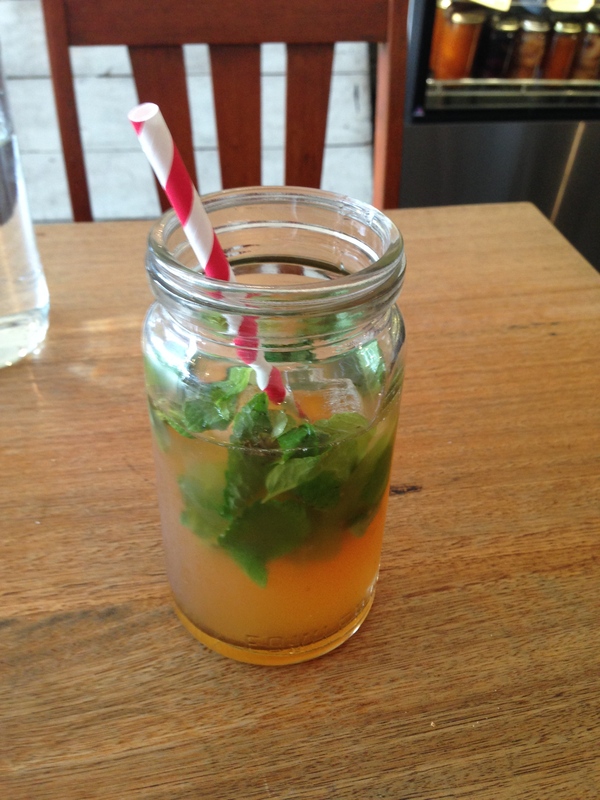 a refreshing and delightful combination of mint, lemon + a kick of something very australian. 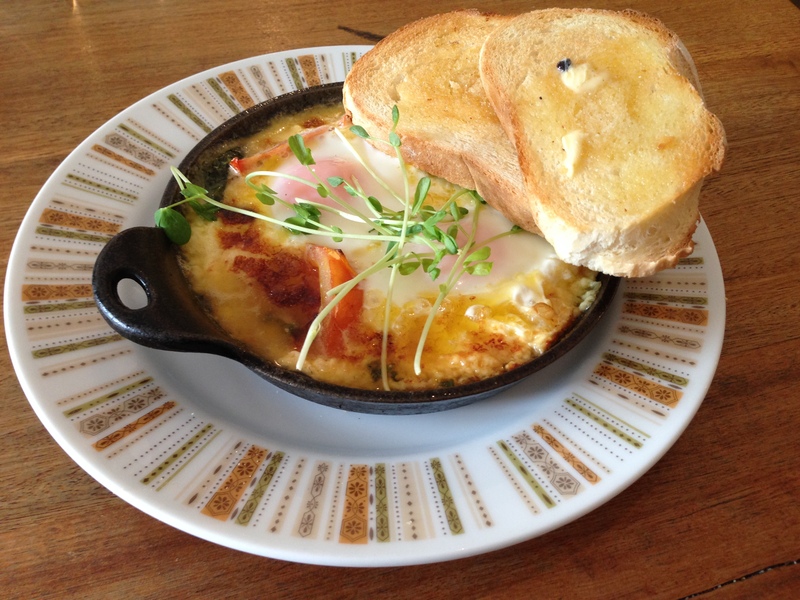 baked eggs with adelaide tomatoes, fresh basil + jack’s reserve cheddar with organic sourdough. if you are used to moroccan baked eggs you might, like me, be put-off at first glance of this as it is not your traditional tomato-based dish. but don’t be fooled, the flavour depth is very complex, and the sharp kick of that jack reserve cheddar adds an intense flavour. took some getting used to, but by the end i was a fan. 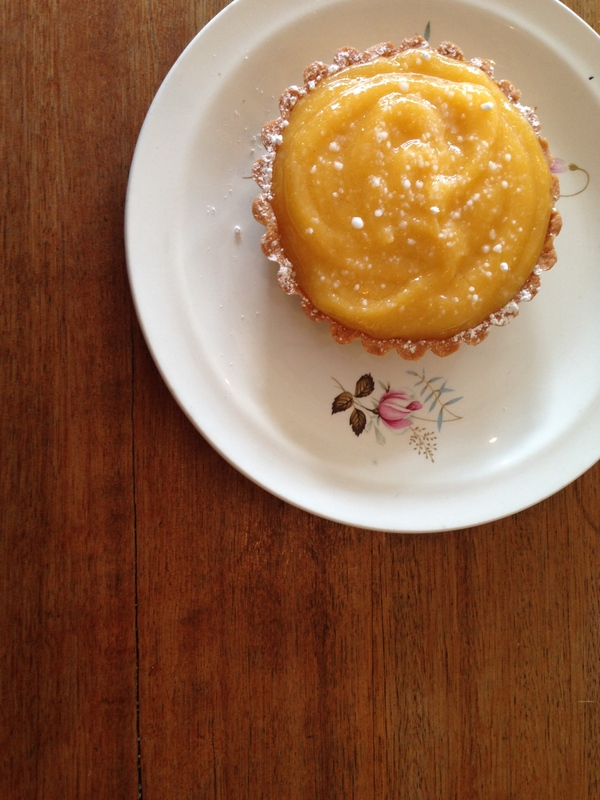 lemon tart. this was amazing! home-baked, rustic, crumbly pastry and the perfect kick of citrus that i absolutely love. drool. 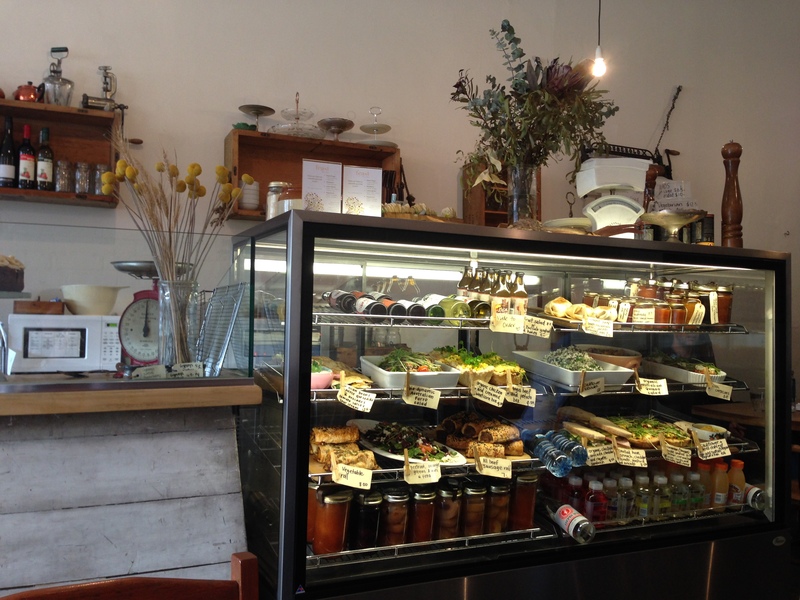 the coffee was also excellent and the girls serving were relaxed, friendly + efficient. i’ll definitely be heading back in the future to try the porridge, pikelets or made-to-order crumpets (that will be a tough choice!). a definite plus: all-day breakfast is served every day!